Women in traditional clothing are transplanting rice seedlings. This process is called taue in Japanese. 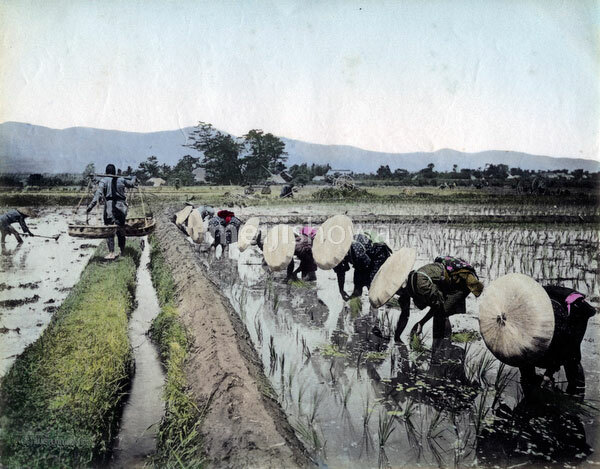 Same as #101105-0021 – Planting Rice.